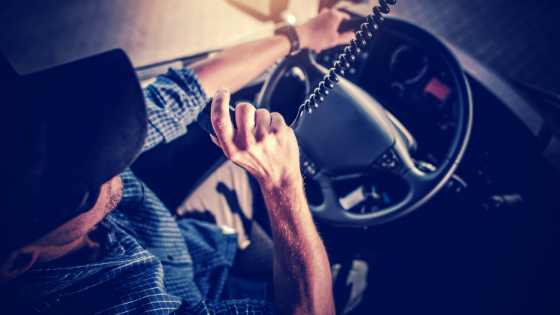 Whether you’re the fleet manager for a large freight company or you own a small fleet of just a few trucks, you know the number of drivers entering the profession is at rock bottom. But how did we get here and what are the solutions if any to the truck driver shortage of 2018? So asserts Steve Viscelli, a former trucker and Ivy League sociologist who has spent over a decade studying the fleet industry. In 2016, he released The Big Rig: Trucking & the Decline of The American Dream, in which he chronicles the rise of the profession from the 1950s onward and addresses a problem in the transportation world that has grown in recent years: there aren’t enough drivers anymore. Now, in 2018, this danger is showing no signs of abating. In fact, speculations see it getting much worse over the next decade. Clearly, there’s a lot of work to be done. Surveys show that the number of trucking companies who intend to upgrade their fleet with new vehicles and additional equipment has more or less remained steady over the last ten years, and has risen noticeably since 2016. Business’s reasoning includes the necessity for more reliable trucks, a rising economy that has created a good environment for fleet work, and a concern for getting ahead of rising equipment prices, among other things. Which is all well and good, but here’s the catch: companies are mostly buying new equipment to replace old models, not to increase their capacity, as they once were. And the reason is that there aren’t enough drivers to put behind new wheels. These same surveys have shown that over 70% of the fleets they’ve analyzed have an employee shortage — the first time since the inquiry began in 2008 that the numbers have reached this height — and over three quarters indicate that they cannot otherwise grow without new drivers. Let’s go back to Mr. Viscelli, who has some thoughts on why this deficiency has arisen. The main issue is that the industry is not putting in the effort to retain newcomers, cutting them lousy deals as part of single-year training contracts that give them no good incentives to stay on beyond those initial twelve months. Hirees have to pay back the money put into training them, are paid below market wage, spend hours sitting at docking sites unpaid, and have to stay out on the road and away from their homes for weeks at a time. In the end, they’re not even making minimum wage, pocketing only $34,000 of the $55,000 that they were promised on average after working over 80 hours per week. As a result, potential long-timers are bailing before a fleet can keep them on, and their reasons for doing so are sound. Why be separated from friends and family for so long while making the equivalent of a whopping $8 per hour, when they could find something else that lets them see their loved ones every day while taking home at least $10 or more? The American Trucking Association estimates that, by the end of 2017, the industry was short around 50,000 drivers, and it expects this number to more than triple by 2026. E-commerce is another large contributing factor to this, with Amazon, in particular, putting an increasing amount of pressure on companies and exacerbating the divide. Though it only has around 300 semi-trucks, the online selling behemoth is aggressively recruiting new drivers to expand its own fleet to transport product between its 328 warehouses and fulfillment centers. In April of last year, for instance, it was reportedly seeking over 30,000 new private truckers. The site also launched its Shipping with Amazon program earlier this year, which allows the company to deliver packages for third-party sellers through its marketplace. Many in the trucking industry now worry that Amazon will use the project as a stepping stone to launching its own standalone delivery service, further hurting fleet operators and driving shipping costs up even further as more drivers flock to the new positions. Until autonomous trucking services can become widespread, it’s a threat that isn’t going to disappear. Though this problem will continue to haunt the industry for the foreseeable future, there are some clear ways to address it, and a good model may come from an outside source, with the fact that private fleets are having an easier time retaining drivers than for-hire carriers. A private fleet refers to a trucking operation that works for a corporation whose primary business is not trucking, but for which trucking plays a critical role. Retail stores are a good example here. A 2018 survey report by the National Private Truck Council found that the turnover in these fleets is a rather low 15.4%, compared to the astronomical 90% of for-hire carriers. The reason is simple: better job offers. Drivers for this fleets are making more money (an annual average of $68,000, compared to the $45,000 of for-hire companies), spending more time at home, and consistently report the highest safety performance scores in the industry. This lines up nicely with Steve Viscelli’s recommendations for how to address the shortage in the business as a whole, which ultimately boils down to a pretty simple idea; treat employees better. Among other things, he urges fleets to get rid of training contracts, provide more accurate information on what employees will earn, and clarify the independent contractor relationship to avoid lawsuits and clear up any confusion once the training contract expires. And, perhaps most importantly, just pay your workers more; pay them for all of the time they spend at a shipper’s location, for all of the hours worked, and for the time they are at truck stops; not only when they’re actually on the road driving. Not exactly a shocking connection to make, is it? If you want to attract more employees, give them better paychecks. Ta-da. Clearly, there’s work to be done in the trucking industry if it wants to see the growth it once did because the world isn’t going to be reversing course. Technology will continue to evolve, green energy will continue to replace traditional generation methods, and online shopping will continue to change what consumers buy and how sellers get them their products. It’s a matter of adaptation, not resistance, and it’s a mindset that can benefit everyone involved if the commitment to evolution is serious. It’s time to put the pedal to the metal, folks.